Youngsters at Willesborough Junior School now have a safer and cleaner walk to their classes following the resurfacing of a long and muddy footpath. 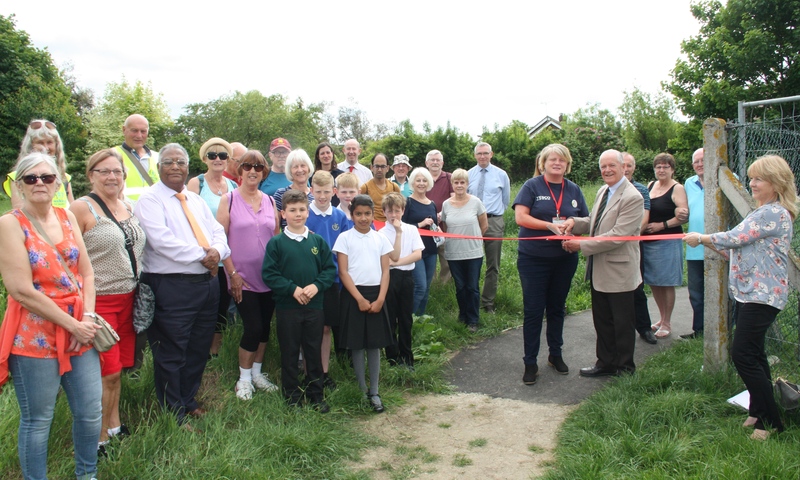 The path, which runs alongside the village cricket club off Hythe Road, is also used by Norton Knatchbull pupils going to the playing fields and connects residential areas to the Willesborough Health Centre. The path was uneven and muddy, as pictured here, and virtually impassable for walkers in wet weather. People were reluctant to use it because of its condition and it was impossible for parents with prams and those with mobility aids and children on bikes or scooters to use safely. 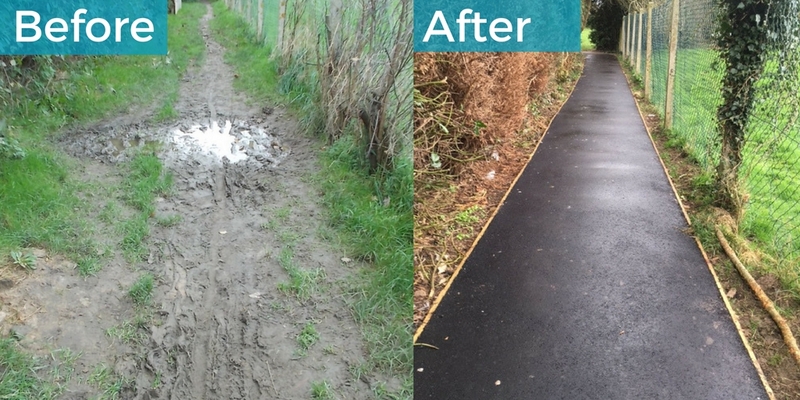 Now, however, its 130 yards have been resurfaced, following a successful bid to Tesco’s “Bag of Help” community fund, which contributed £8,000, with the remaining £5,900 coming from KCC’s Public Rights of Way programme. Pupils from the Junior School and members of the Willesborough Wanderers walking group joined KCC and Ashford Borough Council representatives and Mary Daly, Tesco’s “community champion” for Ashford, at an official opening ceremony. Graham Rusling, KCC’s Public Rights of Way and Access Manager, said the path had been in existence since at least 1871. The resurfacing work has been outstanding for some while and would not have been possible without the support from Tesco, which donates the money from its 5p plastic bag charges to good causes. George Koowaree, the KCC member for Ashford East, said he had been trying to secure funding for the footpath for many years, and was now hoping to have similar success with other footpaths in the area. June 2, 2017 in Community, Health and Wellbeing, Media Releases, Travel.